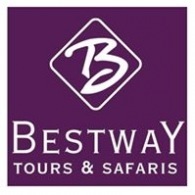 Average rating of 4.0 for all Bestway Tours & Safaris trips. Visit the Desert Castles, beautiful examples of both early Islamic art and architecture. Visit the black basalt fort at Azraq, headquarters of Lawrence of Arabia during the Arab Revolt. Explore the archaeological site and the area of the churches of Saint John the Baptist near the river. Watch elephants, hippos, crocodiles and a variety of birds making for excellent up close photo opportunities. Visit the tomb of King Bazen and museum inside the church grounds. See Vajdahunyad castle, Széchenyi Spa, the Opera, the Synagogue of Dohány Street, St. Stephen’s Basilica and the decorative Parliament building. Visit the Karnak Temple Complex and the Temple of Luxor on the East side of the Nile. Visit the recently restored fortress overlooking the harbor. Visit the town of Bontoc and its museum of old photos and artifacts of the tribal minorities of the Cordillera. Visit to the Gateway of India, Mumbai's most famous monument. Visit St. Francis Church, the oldest European Church in India. Enjoy a boat ride on Lake Periyar to watch animals in their natural habitat by the water's edge. Visit the Temple of Goddess Kumari, the Vivekananda Rock Memorial in the sea where Swami Vivekananda mediated. Visit Wat Xieng Khuan, a collection of whimsical but compelling statues of Buddhist and Hindu gods. Enjoy great photographic opportunities, followed by a visit to the UXO Laos Visitor Center. Enjoy Mayotte’s beautiful flora of 18 hectares of tropical garden, as well see huge baobab trees by the beach. Visit copra sheds, a giant land tortoise pen and an old colonial house. Seeing a Barong Dance at Batu Bulan, then to Bedulu with its rock carving at Elephant Cave. Visit Kerta Gosa, the hall of justice, which dates from the 18th century. Visit a beautiful Taman Ayun Temple, which is dated back from the Royal Mengwi Dynasty. Enjoy the cool mountain breeze and view Ulun Danu Temple. Enjoy the national emblem and patriotic slogans on the streets. See the International Centre, the world famous Gold Museum (closed on Mondays), the Botero Museum and Bolivar Square. Explore Isnos with its “Alto de las Piedras”, the second most important archaeological park in this area. Visit the Botanical Garden of Quindio with its huge butterfly house.